2018 proved to be a successful year once again for UWABC, with the club bringing home the goods at a state, national and international level. UWABC won the Overall Premiership Pennant and was named Champion Club of the Year! This is a fantastic result for the pennant season and everyone at the club couldn’t be prouder! 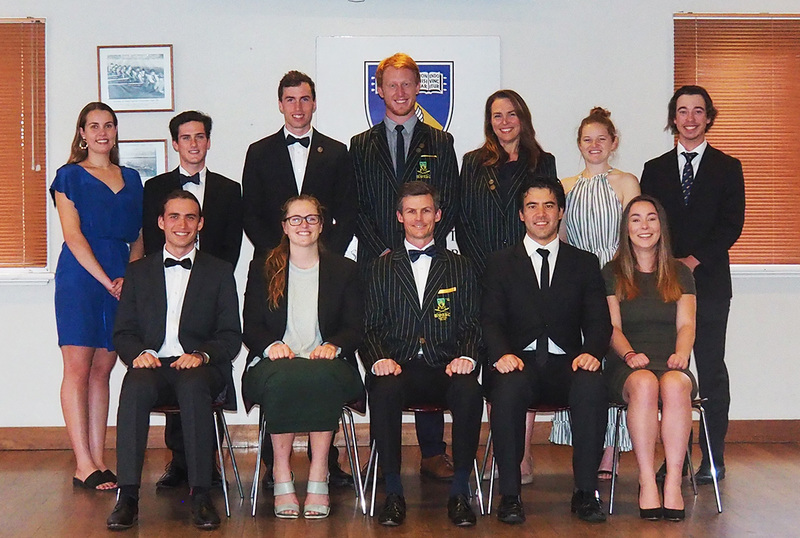 These fantastic results, in addition to the effort and commitment from the entire season really came to light at the Rowing WA Annual Dinner. In addition to the Overall Premiership Pennant, UWABC won the Masters Pennant, C Grade Pennant and D Grade Pennant. Bronwyn Cox was also announced Age Oarswoman of the Year. A huge thank you must go out to head coach Stefano Balosso, in addition to Max Montanari and Blake Hilliar for their efforts with the men’s and women’s squads respectively, and to all athletes and volunteer coaches for the continued efforts. The Masters squads continued to reach new heights, managing to win the Master’s pennant, a long-awaited goal. They also had a strong representation in Tasmania for the Master’s National Championships, which proved to be a very successful campaign. Shenton College once again took out the title of All-schools Champion, congratulations to all athletes, parents and coaches involved. Numerous students are continuing to train over summer, we wish them the best of luck and are excited to see their future achievements! Special congratulations must go out to Bronnie Cox, for being one of only 25 athletes invited to train at the National Training Centre in the lead up to the Tokyo Olympics. This is an extraordinary achievement and everyone at Uni wishes you the best of luck! October saw the election of a new committee, and a change in club leadership. Congratulations to Jeremy Gillbanks and Max Montanari, our incoming club President and Captain. A huge thank you must go out to Holly Child and Adam Feilding, who are both moving on after a number of successful years leading the club. Your efforts have truly been incredible and all of our members are very grateful for all of the time and energy you have put into making the club such a special place. Adam will still be around throughout 2019, guiding the committee as Vice-president. Good luck to the incoming 2019 Committee and thanks to everyone on the 2018 Committee for delivering a great season! This year saw the introduction of two new life members to the club, Karlie Payne and Adam Feilding. This achievement is testament to the years of hard work and dedication they have put into the club and its committee. They have helped shape how the club is run and had a huge hand in growing the club into what it is today. Members past, present and future thank you both for everything that you have done! UWABC was again honoured at the UWA Sports Awards night. Here Holly Child and Jeremy Gillbanks were part of a small number of UWA students to receive a Club Service Award. A testament to their years of hard work on the committee and volunteering for the club. 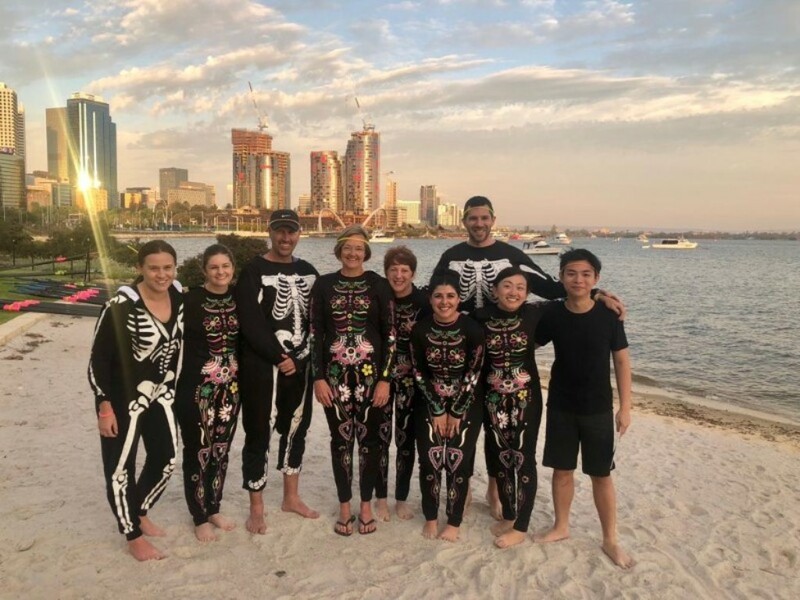 Over the last two months UWABC played host to several corporate crews in the lead up to the Elizabeth Quay night regatta held on Saturday 10th November. 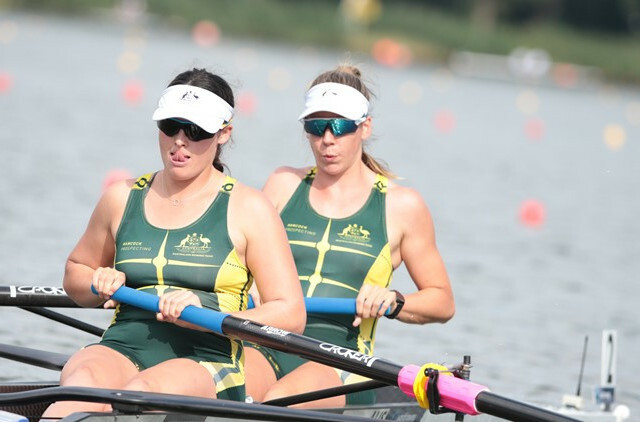 In just over a month crews from iiNet and the Department of Local Government, Sport and Cultural Industries went from novice to 192m rowing specialists. Participants thoroughly enjoyed the training sessions, which presented an opportunity for teams to get their blood pumping before work, improve their teamwork skills, and of course see the city and river from a whole new angle! 16 corporate crews competed on the night, with boats decked out in lights and fantastic crew costumes. DLGSC proved to be victorious over iiNet in an action-packed D-final. While Deliotte, whom had previous rowing experience, made good use of club boats and resources coming second to KPMG in a thrilling A-final in front of thousands of spectators. If this sounds like something your workplace might be interested in, please get in contact with Club Captain, Max Montanari, at [email protected]. Despite the end of the Rowing WA Pennant season, the shed is still alive with activity! The Nationals and Development squads are making good use of our Canning training facilities. 16 athletes are well into training under Stefano with an eye on heading to Sydney for nationals early next year. They have been completing regular monitoring ergs in addition to two time trials so far, in the hope of securing a seat in a state crew. Our very own come-back story Michael Glorie has even posted the 4th fastest time for the 30 minute ergo in the state! 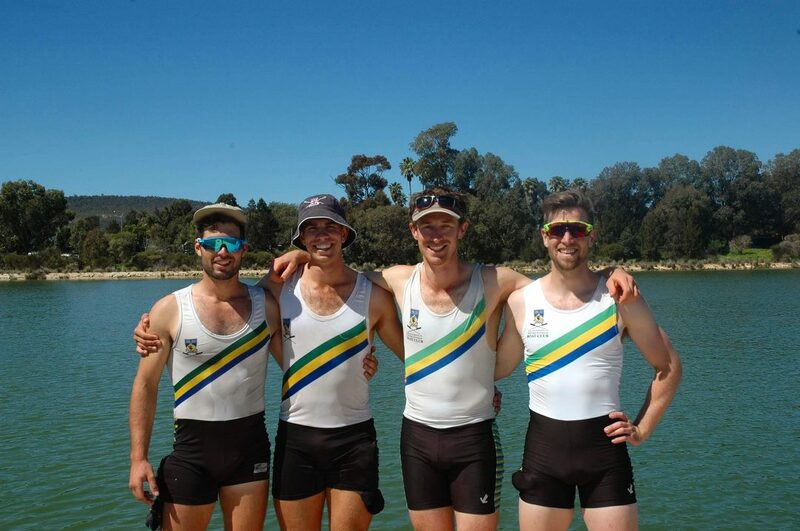 The Masters’ squad is also currently hard at work having sent two crew over to compete in at the Head of The Yarra. The Men’s G grade crew came 7th in their division, whilst the Mixed C eight had a awesome effort, winning their division and gaining the third fastest time out of all the mixed masters crews! Their focus now moves to the Masters National Championships to be held in Perth in May next year. If you are interested in getting back into a boat please get in contact with Club Captain, Max Montanari, at [email protected]. 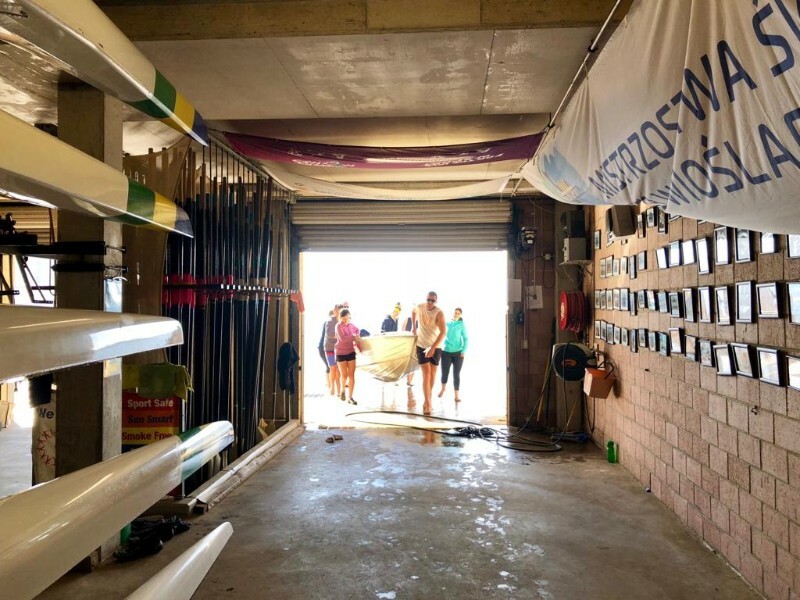 Regular club members are braving the summer easterlies and making good use of the summer period, with Uni holding training sessions based out of the shed over summer for the first time. Rowers of all levels are welcome to join as they see how long they can avoid being forced into land sessions for!